This 45ft narrowboat was built by Liverpool Boats in 1987. The vessel has undergone a series of upgrades to the accommodation including a new solid wooden floor throughout, and a brand new Morso solid fuel stove. The windows have all been removed and re-bedded. The water tank has been thoroughly cleaned, de-rusted and re-painted. The engine recently serviced and the hull regularly blacked. The last blacking was in Jan 2018. The boat has a current BSS certificate valid until Dec 2021. Currently used as a constant-cruiser on the London waterways, the 45ft length makes her easy to handle by just one person and finding a convenient mooring spot. In addition to the solid fuel stove, there is also an Alde gas boiler that heats 4 radiators. A survey from 2015 may be available after an initial viewing. 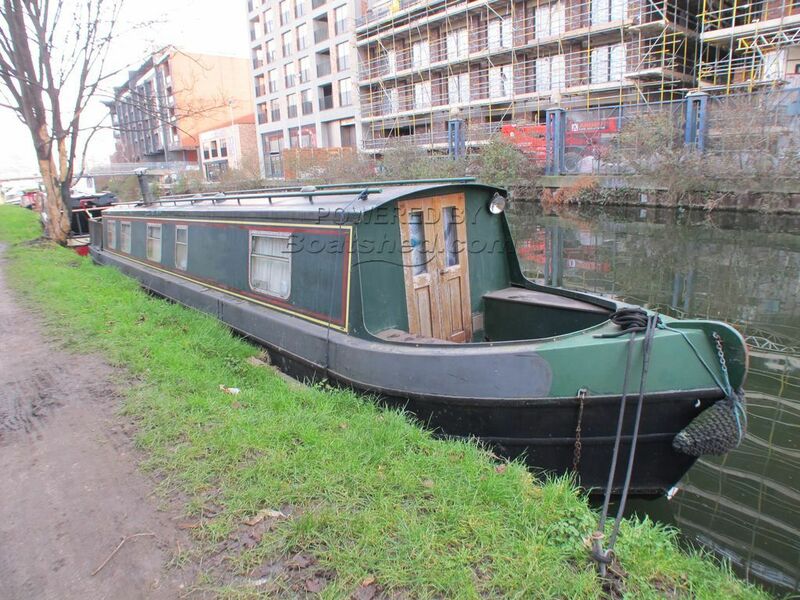 This Narrowboat 45ft Cruiser Stern has been personally photographed and viewed by Ben Evans of Boatshed London. Click here for contact details.